Australia offers some of the most incredible scenery and vistas in the world, so it’s no surprise that tourists flock to the country every year to see it for themselves. While there are plenty of ways to see this beautiful part of the world, there’s nothing quite like taking a road trip to discover some of the best parts of the country at your own pace. Whether you want to take a trip along the coast or go off-roading through the wilderness, there is a road trip that is perfect for you. 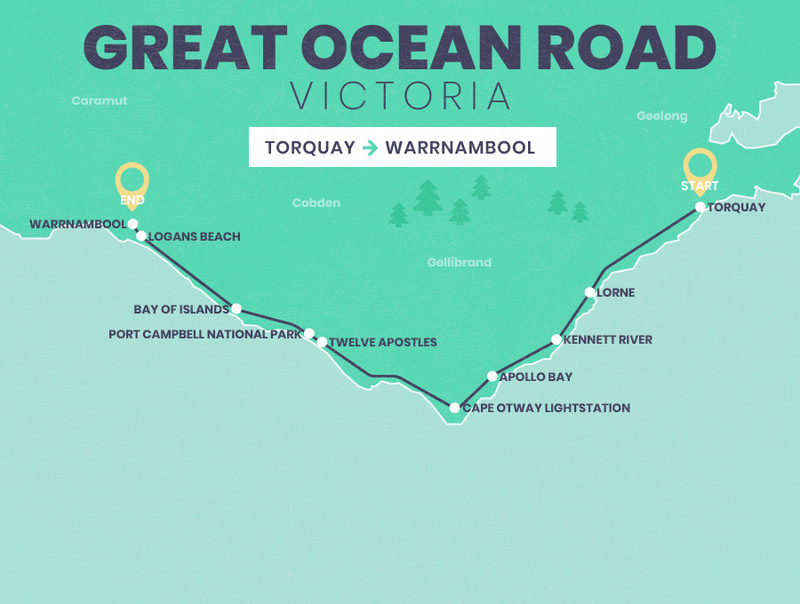 The Great Ocean Ride is a 151 mile stretch of road, covering a section of the south coast, in the south-eastern state of Victoria. Begin your journey at Torquay, just 50 miles from Melbourne. You’ll find yourself stopping at the side of the road to take pictures a lot during this road trip so don’t try to squeeze it all into one day. See the incredible natural beauty of sites such as Cape Otway Lightstation, the Twelve Apostles and the Bay of Islands or get up close with the wildlife and spot the koalas at Kennett River or go whale watching at Logans Beach. 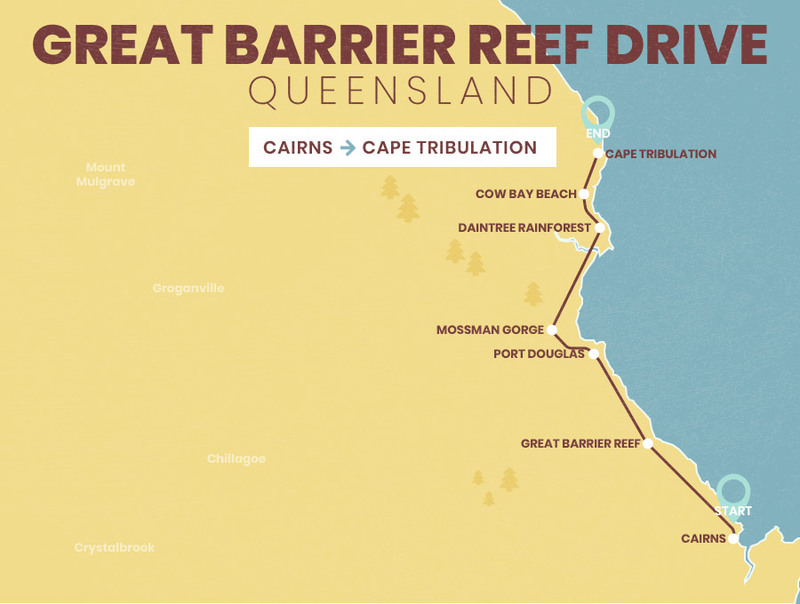 With an 88 mile stretch of road along the north-eastern coast in Queensland, the Great Barrier Reef Drive is a great way of taking in the fantastic coastal roads that run alongside the Great Barrier Reef, the largest living thing on earth. Cairns provides the perfect starting point to get out and see the reef. From there, head up to Port Douglas for some fantastic views, including Mossman Gorge which you can find in the Daintree Rainforest. Spend some time at Cow Bay Beach before heading up to Cape Tribulation. 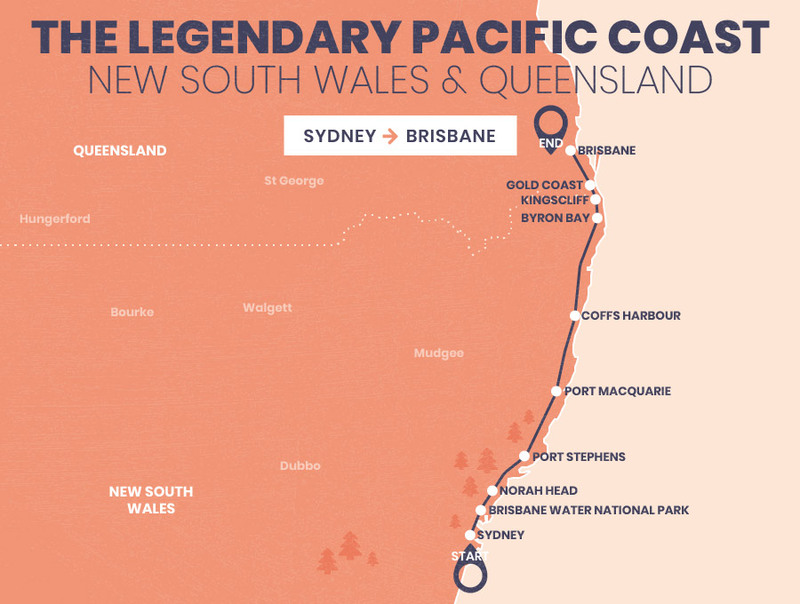 The Legendary Pacific Coast crosses states and stretches for over 550 miles, travelling from Sydney to Brisbane. Heading along the coast, you will get plenty of views of golden beaches and lush national parks. Experience nature at Brisbane Water National Park and go dolphin spotting at Port Stephens. Head to the beautiful beaches of Port Macquarie, Byron Bay and Gold Coast. End the journey in the city of Brisbane, the capital of Queensland. The Gibb River Road is not one for the faint of heart, and will require a 4x4 and a confident driver. Much of the route takes you through the wilderness of Western Australia, so you’ll get to take on plenty of off-road miles. 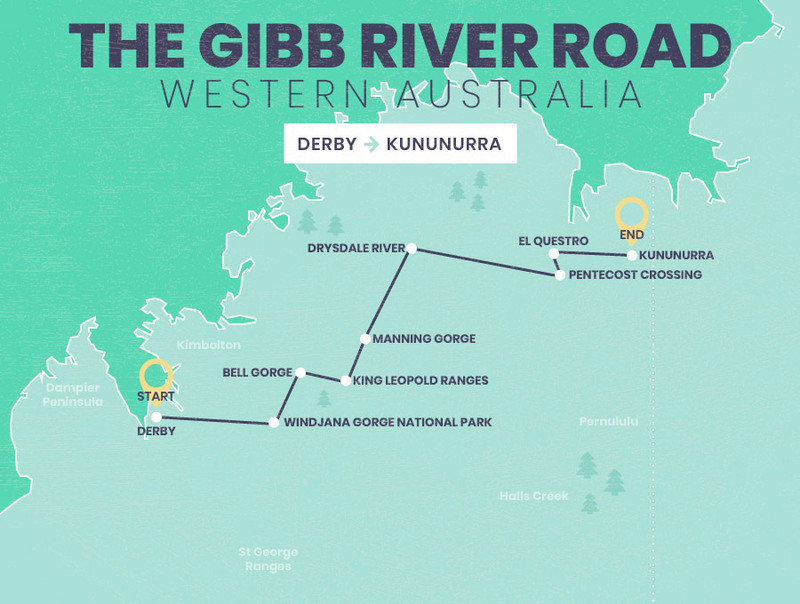 The route takes you from the small town of Derby to Kununurra, over 400 miles away. This journey into the wilderness features plenty of national parks and incredible scenes such as Bell Gorge and Manning Gorge, you can even see freshwater crocodiles at Windjana Gorge National Park. See the stunning landscapes that offer a similar isolation and wild quality of the Australian Outback. The Eyre Highway is the longest stretch of completely straight road in the world with roughly 91 miles of road that has no bends or turns. 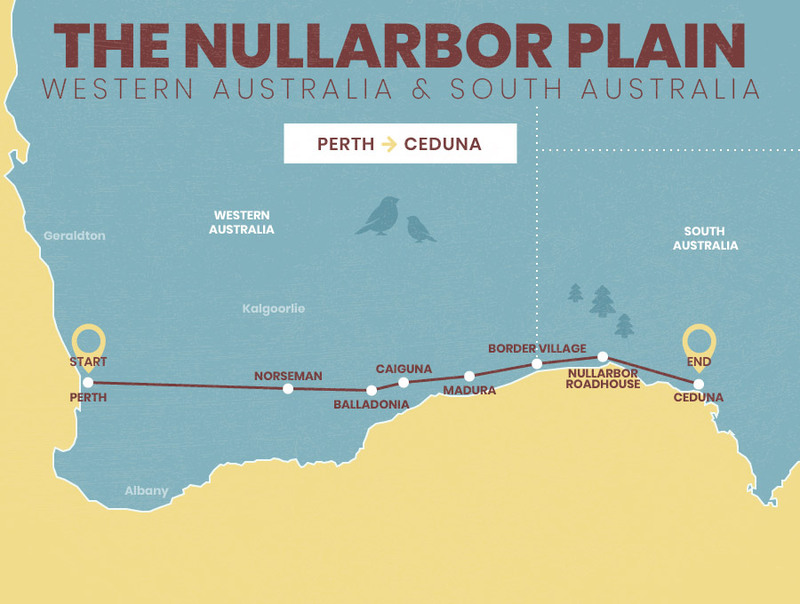 The route from Perth to Ceduna is nearly 1,200 miles and much of it is through the Nullarbor Plain, a barren stretch with a name that translates to ‘no trees’. The journey begins at Perth, so you travel through the city before reaching the wilderness. There are multiple stops along the way including Norseman, an old gold mining town and Balladonia, where the parts of the US Skylab space station fell to earth. When you hit Border Village, you begin your journey through Nullarbor Plain where you can spot wild camels, kangaroos and emus, eventually ending your trip at the town of Ceduna. Tasmania is a small island just off the coast of the mainland which you can reach by ferry or by plane. 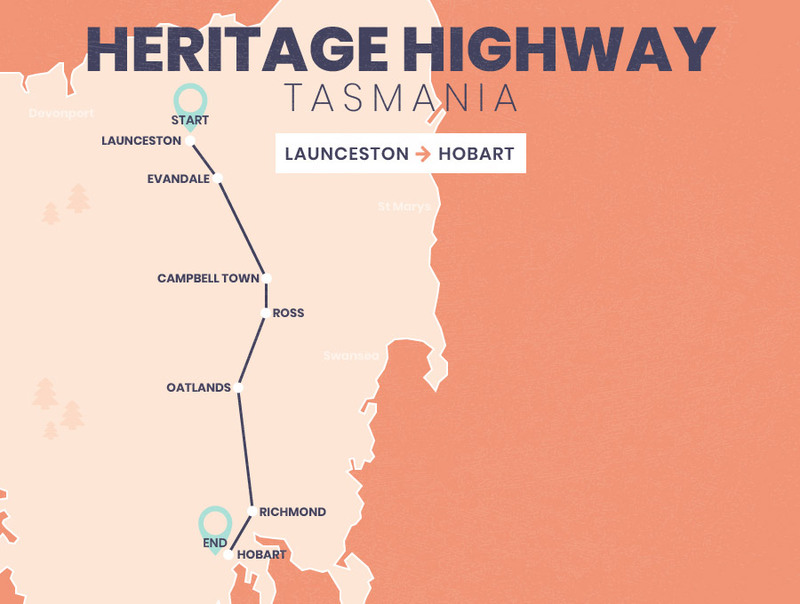 The Heritage Highway was built 200 years ago by convicts and traces a great deal of the history of the island as you wind your way down the Highway. Start at Launceston, a city filled with art and culture. You can make stops at places like the historic Campbell Town, the cobbled town of Ross and Richmond where you can sample some fantastic food and drink. Finally reach Hobart, the capital of the island state of Tasmania. This is a trip that will be filled with history as you travel a road that was painstakingly built through hard labour.